Set the stage for super learning! Convenient packs are chock full of personality, rich content, and popular themes to welcome students, develop essential skills, and energize spaces. 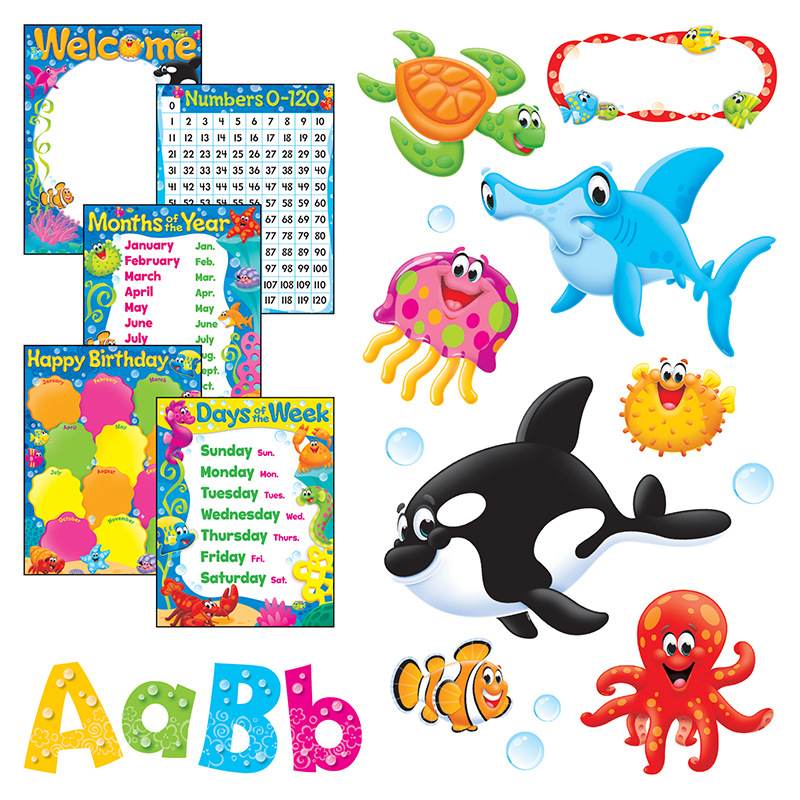 Includes Sea Buddies™ Bulletin Board Set, Bubbles 4" Playful Combo Pack Ready Letters®, and 5 Sea Buddies™ Learning Charts: Welcome, Happy Birthday, Days of the Week, Months of the Year, and Numbers 0-120.